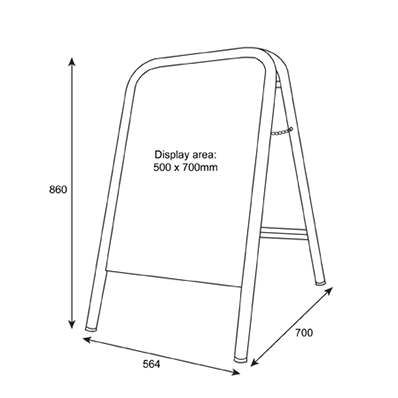 The white powder coated tube frame offers a sleek feel while reducing Health & Safety concerns. 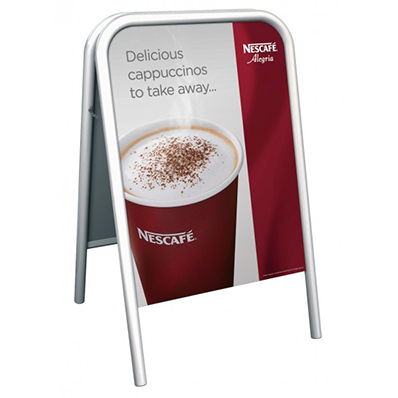 Finished with high quality printed graphics this double sided display will help your message stand out. Its lightweight, portable design making this system ideal for storing between uses. 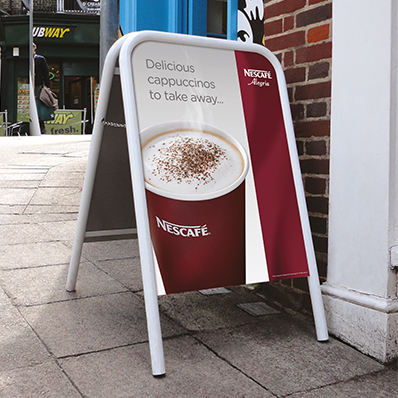 This traditional style A-Board is still favoured in a range of locations, commonly found advertising ice creams and sweet treats on beaches, promenades and piers. Steel tube frame (32 mm diameter), powder coated white. Supplied pre-assembled and ready for use.